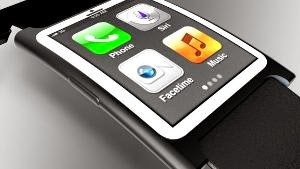 Logic would tell you Apple would unveil its long, long-rumoured iWatch next to the iPhone 6, and it turns out logic is probably right. So here's where we stand for September 9: two new iPhones (a 4.7- and 5.5-inch iPhone 6) and the iWatch. Like the new iPhones, the iWatch will likely make use of Apple's newHealthKit and HomeKit platforms to deliver fitness, health and control-your-toaster functions unseen from the company before.